Music practice: How long? How often? For how long should a child practise? To an extent, it depends on how efficient and organised that practice is - searching for music cannot really be called practice and young children may need your help to get organised! A very young child, just starting lessons, may be able to concentrate only for a short period of time so around ten to fifteen minutes may be sufficient, particularly if the instrument is physically tiring to play. A rule of thumb, to begin with, is that a practice session might be of the same duration as the lesson so that what took place in the lesson may be replicated each day. Since learning and remembering are optimal during the first ten minutes, practising twice a day for a short time is a good idea. Music is one of those activities where the better you get, the more practice you need to do because the pieces are longer and more complicated. Older children with higher grade music exams looming will obviously need a longer practice duration. Time also needs to be allowed for practising scales, aural and sight reading - and for just having fun playing something different. A total of up to two hours a day would be ideal for Grade 8 piano preparation, although this may well be impractical due to other commitments and homework. Some instruments are more physically demanding than others and some children have more stamina than others, so it is possible to suggest only rather simplistic generalisations. Every instrument offers different physical challenge, but the piano is perhaps the most manageable one for children in the initial stages of playing; practising the oboe or clarinet, for instance, is quite tiring for the facial muscles. Inexperienced brass players find that their 'lip' soon becomes tired, preventing them from producing the notes cleanly. A viola feels quite heavy to hold under the chin after even a short time, whereas a cello rests on the floor. Guitar players, like orchestral strings players, will find that their finger ends feel a little tender at first, but they do toughen up with regular practice. Young pianists, as long as they have healthy posture at the instrument, are generally able to practise for longer periods than young orchestral instrument players. Singers have to take care not to strain their voices by practising for too long, or in the wrong way, and young singers obviously have limited capacity for breath control. Warming up, just like for playing a sport, is a good idea (the teacher can advise on what to do) and a little break half way through the practice session will be beneficial. Children are all different - physically, emotionally, intellectually and socially - and come to hold individual beliefs about themselves and their learning capacity. Dweck, in her book, Mindset: The New Psychology of Success, suggests that variations in children's mindsets tend to affect learning. She found that students who had been praised for 'innate' talent tended to develop a fixed-intelligence mindset; they came to believe that they did not need to work as hard as other children. She found that children who believed their intelligence was a potential that could be developed through hard work, a growth-intelligence mindset, were likely to show more persistence, achieve more and enjoy overcoming learning challenges more, compared with those children with fixed-intelligence mindset. Ideally, your child will practise every day since every missed day is a 'forgetting' day. Practice is a bit like sleep - you may think you can catch up on it, but it's not true! It is much more efficient to practise for a short time every day than to practise for a long time on only a few days of the week. If time is tight on some days of the week, or if your child is reluctant to practise, have certain days when you ask for just five minutes practice time - it's better than nothing and those five minutes will often happily extend into ten or fifteen minutes. Personality is a factor in relation to whether children enjoy spending a long time practising - at any age, some people are happier playing a 'sociable' instrument that gives them chance to go to band or orchestra practice whereas some people enjoy practising alone. At the extreme end of the spectrum, pianist Lang Lang writes in his autobiography, Journey of a Thousand Miles that he was practising in excess of six hours a day as a small boy, often until his hands hurt; although he became a world class performer, this was at great personal expense in terms of the breakdown in the relationship between child and father. Although individual differences such as prior experiences, physical attributes, quality of the instrument and extent of parental approval come into play and affect the outcome, it is broadly true to say that if two, similar-aged children begin the same instrument at the same time and practise with the same degree of efficiency, the one who puts in more hours will soon become noticeably more proficient than the one who practises for fewer hours. Thomas Edison was famously quoted as saying, 'Genius is 1% inspiration, 99% perspiration' and, according to the Ten Year Rule, first identified by Hayes, there is evidence to suggest that at least ten years of dedicated work are needed to approach expertise in any field. Historically, there seems to be much to support this theory as a generalisation (see Robinson's article, Does Genius Follow the Ten Year Rule?). HOW LONG BEFORE MY CHILD WILL BE A REALLY GOOD PERFORMER? The so-called 10,000 Hour Rule, based on studies by Ericsson and made popular for some time by Gladwell, estimates that some 10,000 hours of practice are needed to produce a competent, professional performer. The music profession is massive and many successful musicians with an excellent degree of performing competence have indeed put in over 10,000 hours before achieving their primary goal of being inspirational teachers, composers and musicologists. The 10,000 Hour Rule does need to be taken with a pinch of salt however; some psychologists have rejected the rule and both Ericsson and Gladwell have advised against over-simplification. It is probably true to say that many people who have practised for longer than this are still not great musicians! It's not a simple equation. 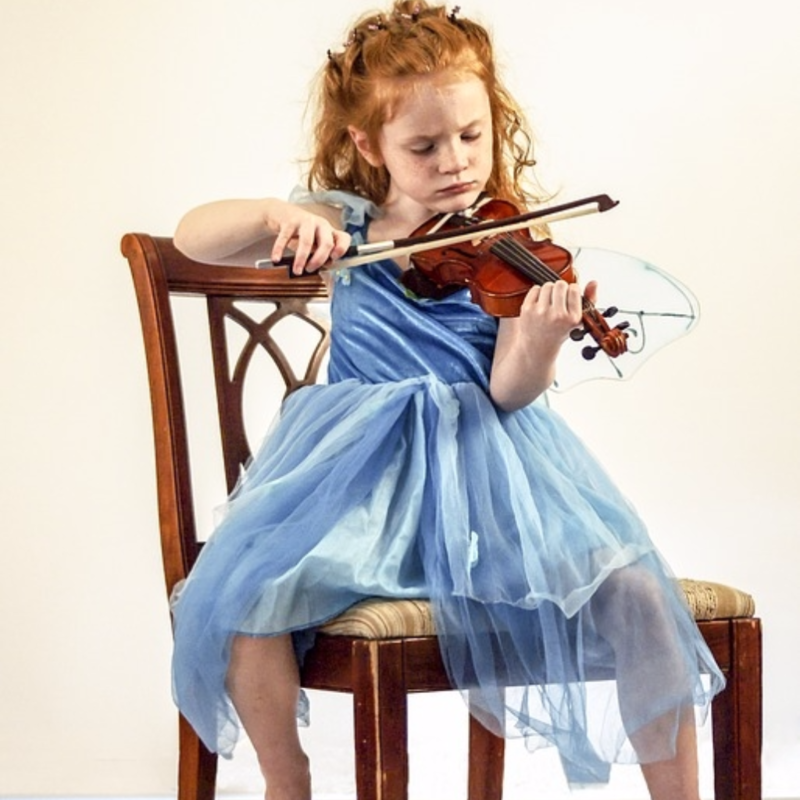 The quality of practice, the parental support, the teaching expertise, the mindset of the child with regard to the learning process and, of course, love of music are factors that affect success and are just as relevant as counting the actual hours spent practising. The emotional maturity needed to express a profound musical work accrues as a result of life experiences as well as musical ones and cannot be rushed. The relationship between practice, talent and achievement is described by Michael Griffin in this way: 'Quality and quantity of practice develop expertise ... identifying talent is retrospective, and the emergence of prodigious skill follows rather than precedes unique opportunity and substantial work'. For parental guidance on helping children to practise effectively see previous Music Parent blogs in this series. Common sense tells us that, while some parents are ambitious for their children to become world class musicians and some children have the personal attributes to make this a reality, the goal of most parents and children is to have a happy experience of learning to sing or play. Practice doesn't mean just the pieces, of course! Children who develop good aural skills stand much more chance of becoming accomplished musicians. Your child can practise and learn aural skills online at E-MusicMaestro. The scope of this article was purposely limited to discussing how often and for how long children should practise . For advice and information on how to practise mindfully and effectively please see earlier blogs in the Music Parent series.